Thursday at 10:00 am the Texas House Public Health Committee will hold an important hearing on children's mental health. The hearing will include a discussion about supporting children who have experienced trauma. It will also address student mental health and the roles of TEA and Education Service Centers. If you can't make it to the hearing you can watch the live video here or follow us on Twitter for updates. This will be the Legislature's first hearing on children's mental health since Hurricane Harvey traumatized so many Texas children and Governor Abbott formed a task force to address the mental health impact of the hurricane on Texas students. Creation of the task force was part of a growing recognition that schools and state leaders must address the trauma and other mental health challenges that interfere with student learning and behavior. Because the task force is only focused on the Gulf Coast and lacks dedicated funding or statutory authority, we are urging state leaders to build on this good first step and provide statewide support to schools to address student mental health. 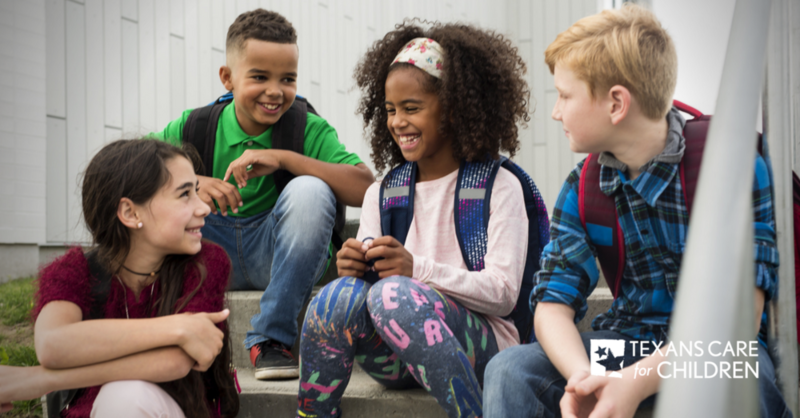 implement positive behavior strategies that create safe and supportive school climates and give students tools for resolving conflicts, managing anxiety and anger, and staying healthy. We've posted our testimony online here. Our testimony draws on the research findings and recommendations in the report we released late last year, "Student Mental Health After the Storm: Hurricane Harvey Raises the Stakes for Supporting Healthy Minds in Texas Schools." The Legislature took important steps forward on mental health last year, as we noted in our recap of the session, but it also left some unfinished business. For example, the Legislature didn't pass Public Health Committee Chairman Four Price's multi-pronged student mental health bill. We are hopeful that the attention to these issues over the last year and during tomorrow's hearing helps build momentum to make student mental health a priority for the next legislative session.